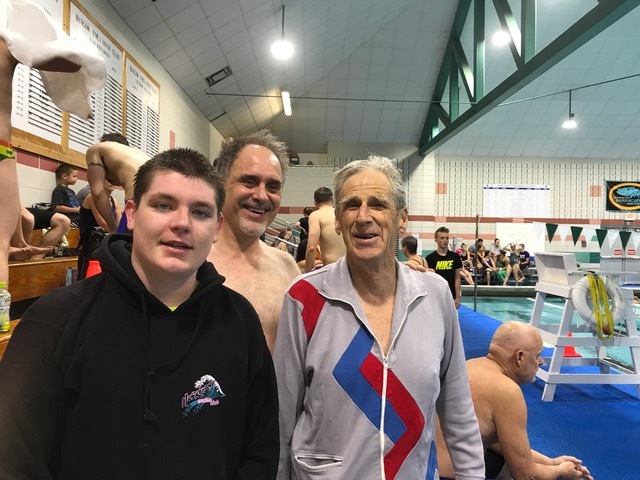 On Saturday, April 9, 2016, Bennington's adult swimming team, Monument Masters, hosted the 5th Annual Monumental Masters Mini Meet, as 36 swimmers from eight teams from MA, NJ, NH, NY, and VT traveled to the Bennington Recreation Center. 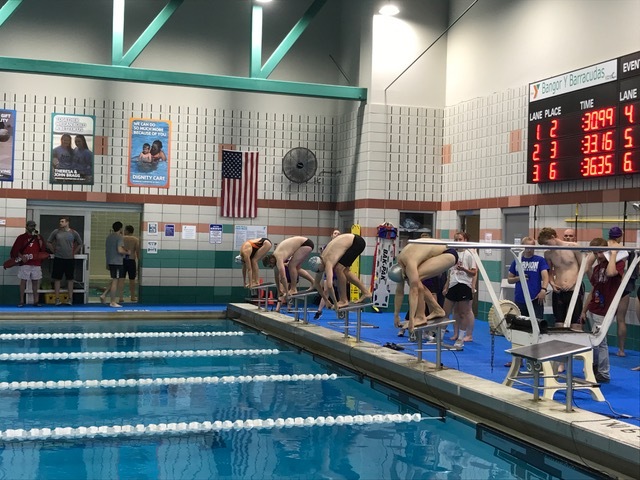 Two swimmers traveled from Concord, NH, in a Cessna airplane, and the the Pittsfield Polar Bears and Simon's Rock Pace Makers from Great Barrington arrived in large numbers to compete. This meet welcomes athletes of all abilities for a morning full of fun swimming and encouragement with all proceeds benefiting the Bennington Marauders swim team, providing youth swimming for our community. For many the meet was their first experience with competition, and all participants were eligible for US Masters Swimming caps and stickers as well as sweet treats of stroopwafels from Bakkerij Krijnen and maple syrup from Cluett Farm. Swimming for the first time with Monument Masters were Matt Moon, Carol Newell and MG Nightingale. Gabrielle Betit-Mattison and Amanda Robson returned to action in the pool following previous splashes at the meet. Siblings Jeff, Jill and Mike Leake along with Kevin Murphy and Greg Sellei continued their streak of swimming in each of the Monumental meets. Monument Masters also fielded two relay teams in each of the relay events offered. We look forward to our sixth meet in April of 2017!